The World Professional Billiards and Snooker Association (WPBSA) has today announced that Ng On Yee and Andres Petrov will be invited to join the field to compete at next month’s Betfred World Championship qualifiers in Sheffield. Following the initial publication of the qualifying criteria earlier this month, 14 of the players have now accepted their invitations. The final two places remained vacant however as European U-18 champion Amir Nardia was unable to participate and European Championship winner Chris Totten effectively double qualified, as he had already secured his places as a Home Nations NGB qualifier. It has therefore been decided by snooker’s world governing body the WPBSA that Totten’s place will be awarded to the player that he defeated in the final in Nicosia, Estonia’s Andres Petrov. 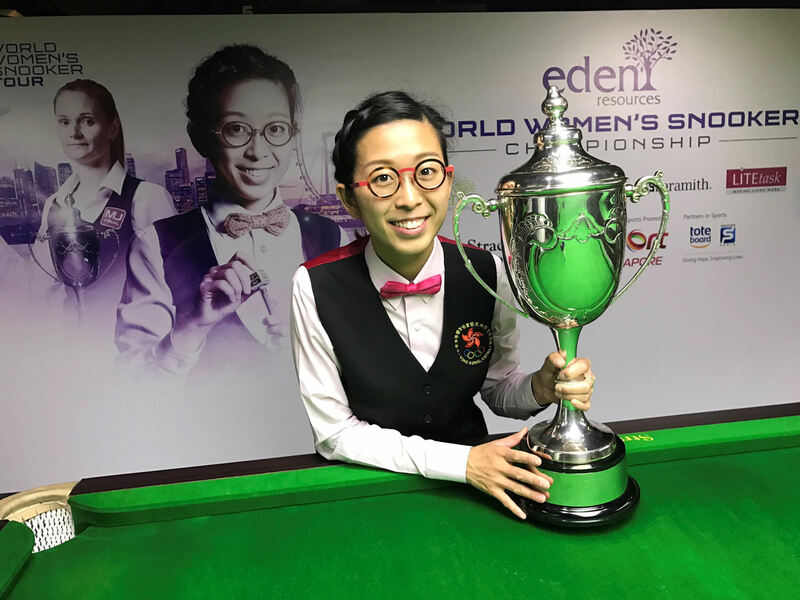 The final invitation will be offered to Hong Kong’s Ng On Yee, who recently claimed her second WLBS World Women’s Championship title in Singapore. She previously competed at Ponds Forge in 2016, losing out to Peter Lines, who will also return this year as World Seniors champion following his victory at the event last week. On Yee joins fellow World Women’s champion Reanne Evans in competing on what is an open and mixed tour in 2017. A field of 128 players will be looking to qualify to play at the venue stages of this year’s World Championship, which celebrates its 40th anniversary at the Crucible Theatre in Sheffield. The draw for the qualifiers will be made following the China Open, which finishes on 2 April.